The dodecahedron is one of the Platonic polyhedra. Its dual is the icosahedron. 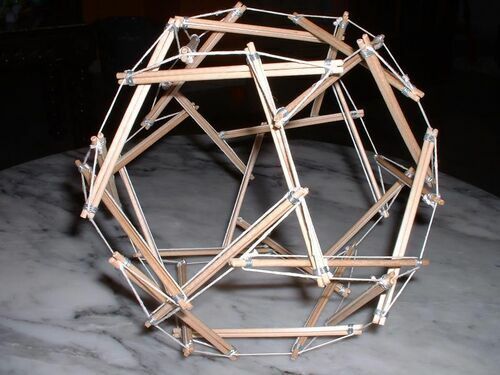 10 strut dodecahedron. Construction and photo by Marcelo Pars. 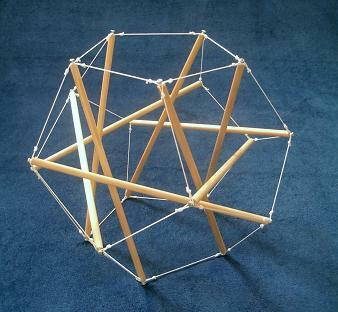 30 strut skew dodecahedron. Construction and photo by Adrian Rossiter. This page was last edited on 24 November 2018, at 09:32.